Protecting Your Abode in Allawah! The Aboriginal meaning for the suburb of Allawah is ‘make your abode here’. 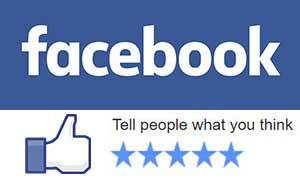 But your Allawah locksmith company wants to make your abode safe and secure as well. Fusion Locksmiths is family owned and operated so we know the importance of family and protecting them in their home, anywhere in the St. George area. We secure all door, window, garden shed, sliding door, car and even boat locks. We have partnerships with all leading lock manufacturers allowing us to create a solution just right for you. 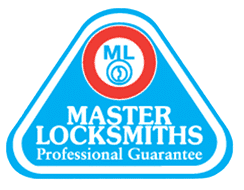 Lock Out Service – All Day & Night! With our 24 hour lockout service it doesn’t matter what time of the day or night it is. 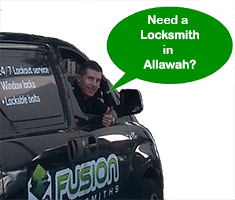 Just call Fusion Locksmiths to get back inside, safe and sound. As your local locksmith, it won’t take us long to get to you and help you in your time of need. If you have lost your keys, we will even make you a new set, giving you free access once again. With over nine years experience in the industry, we know our stuff and can help you in all matters of your security, big or small. From sticky locks to new security systems, we do the lot. Because we have your best of interests at heart, we only recommend financially sensible solutions and all our workmanship is guaranteed for 12 months!